Based on the book, “Team of Rivals,” by Doris Kearns Goodwin. I remember reading high praise for this movie when it first came out. Actually, I believe I had my eye on it when it was first announced it was in the making, and Daniel Day-Lewis was cast in the role of Abraham Lincoln. The similarities between their looks are amazing, but would the movie do history and the man himself justice? Oh wow. I can’t begin to tell you about the amount of research that went into the creating of this film. I would love to know more about the ‘making of’ it. I do know that the actors and actresses really gave this one their all and went into full-depth character to accurately portray these historical people. Day-Lewis in particular researched Lincoln’s mannerisms, way of walking, speech, and voice in order to become him. 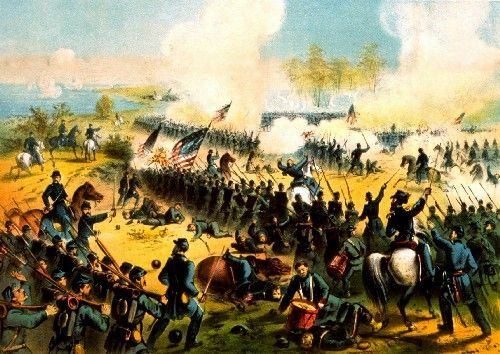 I am not so steeped in Civil War history as to know how many facts in this movie are correct, but I do know that it was inspired by the thoroughly researched book, “Team of Rivals,” by Doris Kearns Goodwin. The author worked closely on the making of the film as well. Acting is top-notch. I really felt as though I were viewing a fragment of my country’s history, and that felt exciting. Even though I knew how history played out, this movie caused me to doubt for a little bit what would happen. The behind-the-scenes politics of history made for a tense plot and kept me on the edge of my seat. In fact, it was so identifiable in this day and age and maybe that’s why I felt nervous for what would happen. One drawback of the film is that many of the historical facts presented escaped me in one viewing. I will definitely need to rewatch it to glean more from it. Because of this, I felt somewhat confused and didn’t understand some of the plot structure. However, I did learn a lot about the genius of Abraham Lincoln. I’ve always had the impression that he was so morally simple as to be sort of uninteresting. Not so! This man had a talent given to him by God that he used in the time and position he was placed in. He was an absolute chess-master at politics, but had a core of integrity that kept him straight and true. I believe watching this shed some light for me in deciding how to vote this past presidential election. It also caused me to love a person I’ve never met, and left to wonder why God would allow such a man who did so much good and suffered greatly for it, to die at the hands of an assassin so soon after victory was achieved. My favorite scene is near the end, with the singing of “Battle Cry of Freedom.” It was so inspiring, and caused me to be grateful to God for His working in our country’s history. When’s the last time you felt excited about history? My Book Review: I’ve seen several of Michael Landon, Jr’s films and have even reviewed a couple on this blog. Their quality is so-so in my opinion, but some are better than others and they’re always wholesome entertainment. I didn’t expect his fiction novels to be much different, but the plot of this book had me interested enough to give it a try. I felt the quality of writing in this first installment of the Mercy Medallion Trilogy was better than I expected, yet not as good as I’d hoped. I found that I was interested during the first third of the story. Great plot, some promise…. The middle lagged and I got bored… And then came the last third where I totally lost my sympathy for the heroine and (even worse), lost faith in the story. The very ending had me somewhat wondering what would happen next between Elijah Hale and Mercy, but I have little interest in reading any more of this series. I think if I ever come across books 2 & 3 at the library, I might skim read them, but I don’t feel like investing myself further in the series. This book had a strong Catholic bent to it, which I don’t necessarily mind reading even if I am Protestant Baptist. But I don’t share the same spiritual views as these particular nuns in the story. Their relationships with God did not seem very hopeful or personal and I would have liked it better if they could have influenced Mercy in a more uplifting way. It could possibly make for an entertaining movie if the authors ever decide to. This book wasn’t terrible, and I can imagine some might even like it. It just wasn’t for me. Alright, I promised you all more information on a recent special find at my local library’s book sale [see this post]! I was going along the tables, accumulating interesting looking books to stuff into a shopping bag for $1, when I saw a slim green book lying in a box under the table. I saw the author’s last name: Hale. That sounded familiar to me as something I’d written down in my To Read Notebook many years ago to someday track down and read. I picked it up and I was right. It was “The Man Without a Country,” by Edward Everett Hale, although the title was wrong on the cover. I could tell the cover was one of those deals when older libraries want to keep certain book but the cover needs rebound. It was maybe done sometime in the ’60’s. I just added it to my stash and kept going. After I’d paid for them (which nearly broke the bank– just kidding! ), I sat down in the library lobby to wait for my ride. I started to peruse my new books. When I opened the cover of the “The Man…” book, I noticed the type seemed quite old. I couldn’t really see too well at the time, as I had my contacts in and can’t read very well with them. But the copyright date was 1897. It didn’t surprise me why it had been rebound, but the pages themselves were in pretty good condition. Then I got to leafing through the little book further. There was a page with an old library pocket glued to it, a Date Due sticky over top that, and a stamp that said, ‘WITHDRAWN.’ I turned the page, and there was another paper glued to a blank page. It was one of those fold out kind of papers, but it didn’t look like it had come with the book. When I unfolded it, I saw there was old handwriting. How interesting! Many of the books I own have previous owner’s signatures, some of them written even over 100 years ago. But this wasn’t just a signature, it was a little message written out. Did you see what I saw?? Edward Everett Hale! The Edward Everett Hale wrote in my copy of “The Man Without a Country,” a true classic, that I now own! And I accidentally stumbled upon it for pittance at a book sale and didn’t even know what I was getting when I bought it! Whoopee!! The paper is dated 1907, which makes it only two years before Hale passed away. From what I can make out, his message reads: “I hope no one who reads this Book, may ever live through such a crisis as that which called it into Being. ~Edward E. Hale, Jan. 8, 1907” I do not know what the story is about since I have yet to read it, but I don’t want to go reading spoilers. I don’t know if the book itself is worth anything, since it’s not a first edition, has been rebound, and is a library discard. But that doesn’t matter to me. I can’t wait to read it for myself since I now own a copy the author sign personally! Have you ever found a really cool book at a used book sale? Do tell! Plot Summary: A starving orphan named Ethan is adopted by the loving O’Dell family from Illinois in the mid 1800’s. Their lives are filled with love, growth, and laughter. But then they are all changed forever by the advent of the Civil War, and Ethan chooses his own path. From the battlefields of Shiloh, TN to the upper echelons of society in Washington DC, Ethan’s story is one of God’s love and mercy. My Book Review: I believe I had “The Alcott Legacy” Trilogy by MaryAnn Minatra on my To-Read List for years and was excited to finally get my hands on the first one in the series. When it came via InterLibrary Loan, I was a little disappointed by the cover. It sort of looked like a fluffy romance to me, and I briefly considered taking it back to the library. But then I started reading the dust jacket, which said that in publishing the book, Harvest House had done a rare thing in accepting an unsolicited manuscript. Looking the book up on amazon and goodreads, I saw that it received quite a high rating among other readers, so needless to say I was intrigued. I was immediately carried along with a boatload of characters on a wave of time through the years. I got a sense that this story was somehow going to be a subtly grand one, even if I couldn’t figure out where the story was going at first. It sort of felt like watching an ant farm—all the players going about their lives. The book was aptly titled. There are all these different colored strands that took a while to figure out how they would weave together. To the best of my knowledge “The Tapestry” was Minatra’s first published work, but I felt I was in the hands of a good storyteller. Several romances play out over the course of the saga. We start off with the relationship between Will and Rebecca. Right away alarm bells were going off because of their rushed romance and Will came off too strong in the beginning for me to believe he would end up being such a good husband and father. But I needn’t have worried about it being fluffy. The author knew how to craft a well-written love story, prolonging suspense and letting the delayed longings of the characters marinate before bringing them together. I especially enjoyed the romance of Wyeth and Henri. Romances usually tend to stop after the proposal or wedding, or if a couple’s married life is included in rest of the book or series it usually tends to drop it’s excitement and is portrayed rather dully. But this author does a lovely job of writing about married life as a picture of joy and fun, amid everyday trials and sorrows. Although hinted at here and there, the book never gets very edgy, something I appreciated. I believe there were just way too many characters for the story’s good. New people flitted in and out of the book without seemingly much of a purpose. I often got the sense that the author was unnaturally trying to fit into the story lots of famous people that our main characters were destined to meet, yet I didn’t always know who they were in history. It seemed a little too improbable that our hero would coincidentally meet with so many famous people. By the end of the book, there were a few unresolved things that left me feeling unsatisfied. What happened to the Cash family down south? What happened to Henri Mullins’ health after the war? I am not sure if this is because the author will pick these dangling threads up later on in the following two books, but I certainly hope so! I do look forward to reading the next installments of this historical fiction-trilogy! 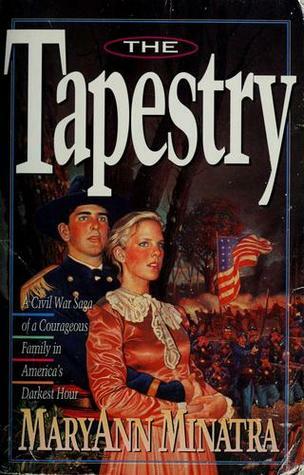 I would recommend this for Civil War buffs and Christian fiction lovers. 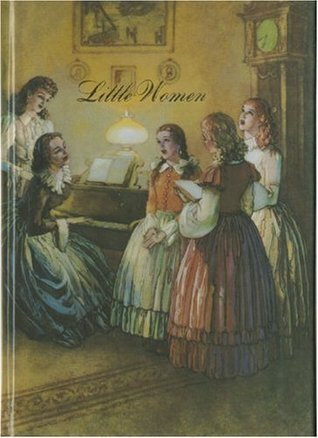 This particular illustrated version of “Little Women,” by Louisa May Alcott, published by Grosset and Dunlap. It was the version I read when I was 12 years old and sought for years before I finally found the same illustrated book.